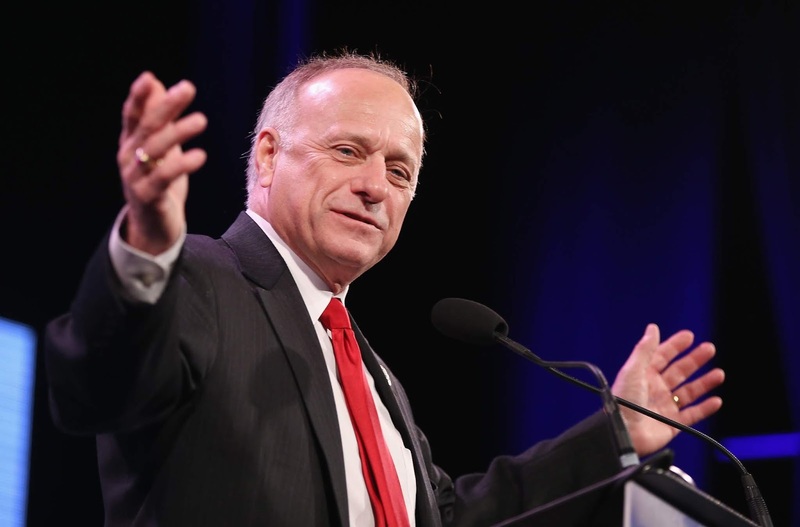 Republican Rep. Steve King from Iowa has introduced the “Mayor Libby Schaaf Act of 2018,” which would ban officials from “the purposeful broadcast ... of information relating to any imminent action by a federal law enforcement officer or agent.” Violations could result in up to five years in prison. Oakland Mayor Schaaf's recent warning to the Oakland Hispanic community that an ICE raid was about to take place. What makes this bizarre is that Iowa has a Hispanic population of approximately 5% and an 88.7% non-Hispanic white population. Meanwhile, Oakland is only 25.9% non-Hispanic white with a Hispanic population of 25.4% (The rest being Black 28.0%, Asian: 16.8%, etc.). In other words, the people of Oakland know a lot more about living in a diverse community than the near lily-white Peter King territory. Yet, the busybody King wants to prevent the white JewishSchaaf from warning the people in her own district. Schaaf is a very savvy politician. If the general Oakland population weren't in support of the undocumented in the area, she wouldn't be warning the city about ICE raids. People in the Bay Area are generally very comfortable with the undocumented. They see them as restaurant busboys, office cleaners and yard workers. No one sees them as any kind of threat. Meanwhile, King sees them as a threat. But what is really dumb about King's bill, hey not all white guys are bright, is that if Oakland wants to be a sanctuary city it means less moving into areas like Iowa which is what King is really concerned about. According to the U.S. Census, King’s home county of Crawford now has a population of about 17,000 people—about 4,000 fewer than it had in 1900. The area had been nearly all white for generations, but that, too, has been slowly changing as more Hispanic immigrants have arrived. In 2000, the county was about 93 percent white. That’s now dropped to 82 percent, with Hispanics accounting for nearly all of the change. Eager to make a living for themselves, many newcomers have been willing to take lower-paying jobs in agriculture, manufacturing and meat-packing. And not everyone is comfortable with the changing look of schools, grocery stores and churches in town. So why the hell would he want to prevent Oakland and other sanctuary cities from acting as a magnet for the undocumented so he could keep the lawn mowing jobs and restaurant busboy jobs in Iowa for his white friends?